PUNE: With a view to promote safety by maintaining law & order, Honda Motorcycle & Scooter India Pvt. Ltd. (HMSI) today signed a Memorandum of Understanding (MoU) with Pune Police. Under the MoU, Honda aims to contribute towards community policing initiative of Pune Police. Fulfilling its corporate social responsibility, Honda will facilitate ‘Beat Marshalls’, the Quick Response Team (QRT) of Pune police department with required resources to strengthen and improve the law & order situation in the city. 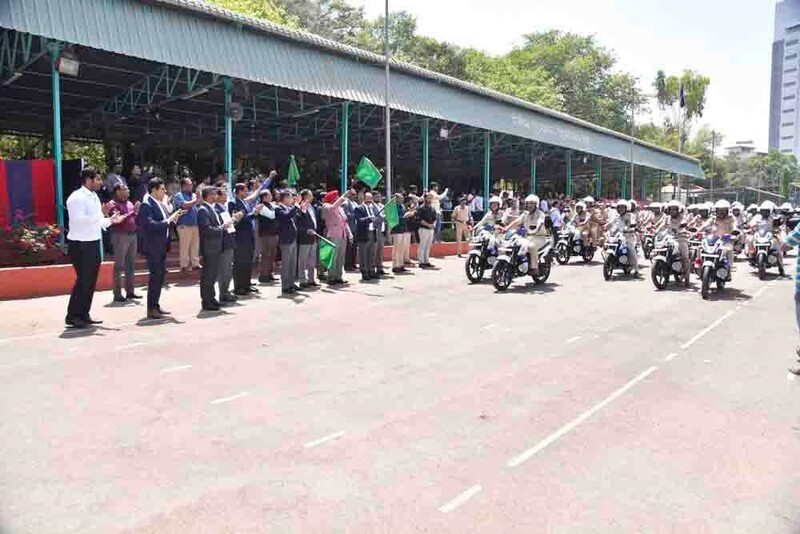 Under this CSR initiative, Beat Marshalls were presented with 100 Honda Livo motorcycles equipped with additional policing accessories like revolving flashers & blinkers, public announcement system, sirens, flash lights, two Honda safety helmets per motorcycle & cruiser side box. 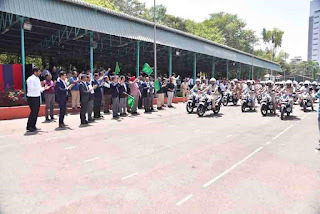 The motorcycles were presented to the local police in the august presence of K. Venkatesham, Commissioner of Police, Pune and Harbhajan Singh, Director, General & Corporate Affairs, Honda Motorcycle & Scooter India Pvt. Ltd. and other senior dignitaries from the State Government and Pune Police. Highlighting on this initiative, Harbhajan Singh, Director, General & Corporate Affairs, Honda Motorcycle & Scooter India Pvt. Ltd. said, “As a responsible corporate citizen, Honda 2Wheelers is always committed to bring a positive change in our society. Ensuring safety for all citizens, today we join hands with Pune Police to contribute towards their community policing initiative. Considering the need for immediate rescue, we have presented the Quick Response Team of Pune Police with 100 Honda motorcycles equipped with advanced police accessories helpful in preventing crime. Honda is consistently expanding CSR initiatives in more cities across India. Prior to Pune, Honda also extended support towards community policing initiatives of Haryana Police and Punjab Police this year. This drive will further reach more about 7 more states in near future.